← Anatomy of a Massive Con Job! ERIC KARLSTROM EXPOSES THE STRUCTURE THAT WAS CREATED TO ADVANCE “CO2 CLIMATE CHANGE” – BEHIND THE GREEN CURTAIN! From Colorado, Eric Karlstrom is a professor of geography at California State University. 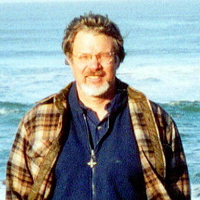 In addition to teaching physical and environmental geography courses (Geomorphology, Climatology, Introduction to Physical Geography, Human Ecology), he has also taught courses cross-listed with the Geology department (Geology/Geography of Soils, Physical and Environmental Geology), and an honors course (State of the World: The Environmental Perspective). Throughout his career, Dr. Karlstrom has continued his research program in field and laboratory analyses of soils and geomorphology as a means of reconstructing Quaternary paleoclimates. In this fascinating interview researcher Dr Karlstrom takes us back to the 70s when The Club of Rome created the report Limits to Growth. He explains why that project was funded and by whom. Very few environmentalists understand why environmentalism was created. Hint: it wasn’t to protect Nature from corporate exploitation! This entry was posted in corruption, Science and tagged Eric Karlstom, geoscience, global warming, globalists, Iron Mountain. Bookmark the permalink.